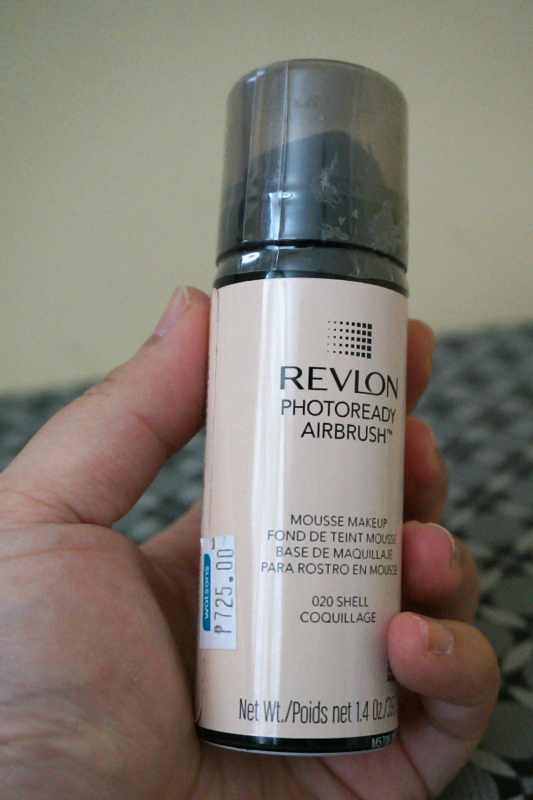 My weekly stroll along the makeup stalls in my local department store resulted to me buying Revlon PhotoReady Airbrush Mousse Makeup in Shell (020). I'm not really a foundation kind of gal but this 50% off deal was too good to pass up. 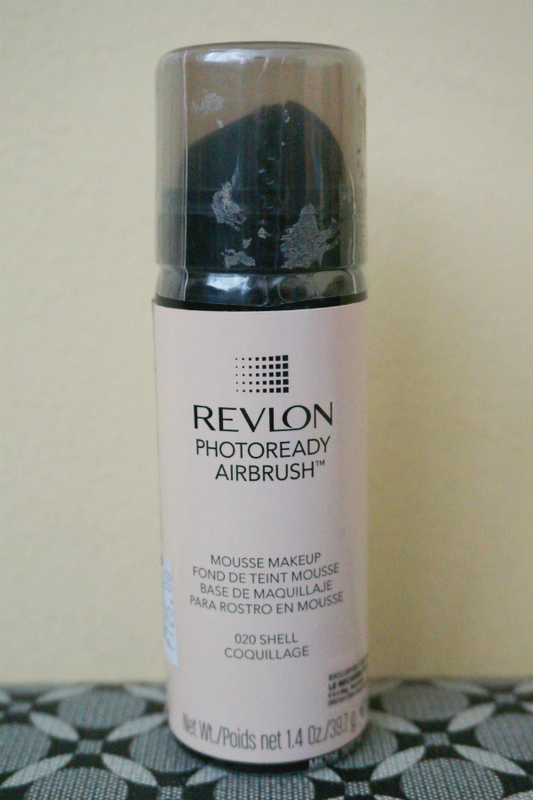 I'm aware Revlon's PhotoReady line have some good feedback so I took a chance on this. Packaging: This mousse makeup comes in a tin can with a Flammable warning on it. It took awhile for me to figure out the mechanics of the pump. For the first two pumps, I couldn't control the amount that was going out and I ended up with too much. On the third try, I had the right amount pat on. With all the hoopla going on with the pump dispenser, I expected a foamy product to come out of the can. I can't describe what it looks like, so I'll let pictures speak for itself (see above). After a few taps, the so-called "foam" deflated a bit but I can still see some tiny bubbles. After blending more, the product became more liquid and watery. Consistency was a bit runny, but it was easy to blend. The product dried out fast though so you have to be quick in applying it on your skin. 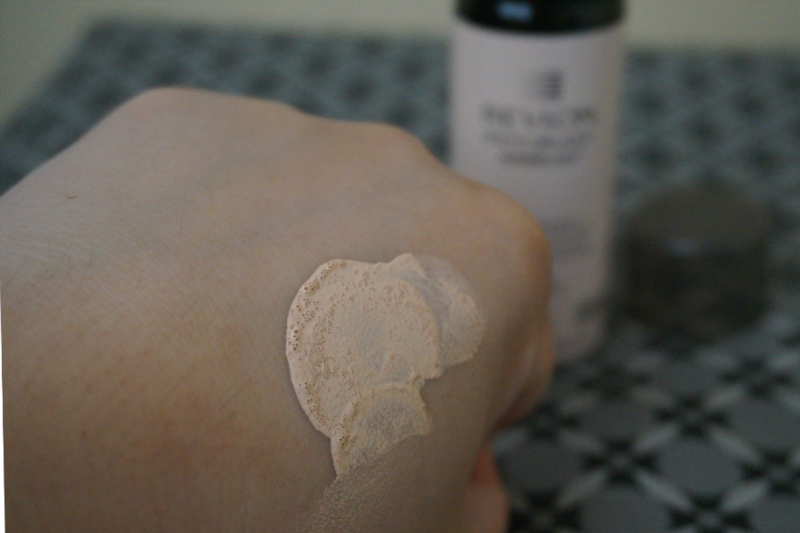 Coverage: Light to medium but not buildable. One coat can cover imperfections and some redness but if you attempt to apply more, you'll be left with a cakey finish that's totally unappealing. From afar, you can see a flawless finish, but if you look closely, it's where problems come to light. Note (photo below) how the product settled on my pores, especially on my nose. 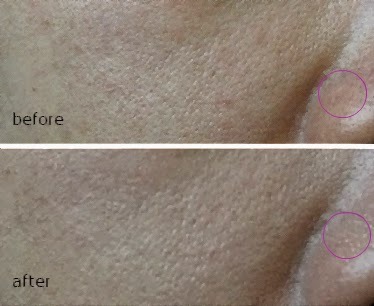 Instead of covering up those tiny bumps and imperfections, the product emphasized them. I would also imagine that on older skin, the product would settle on your lines as well. Definitely NOT good. The formula’s photochromatic pigments bend and reflect light to minimize flaws, leaving you with perfectly airbrushed looking skin in any light – indoors, outdoors, or under the flash of a camera. 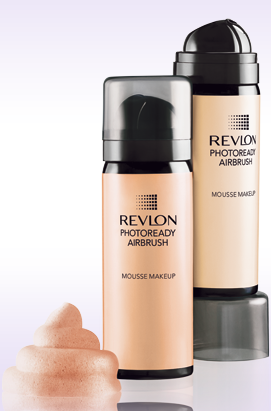 I would agree that when photographed, Revlon PhotoReady Airbrush Mousse Makeup can make your skin/face look flawless. 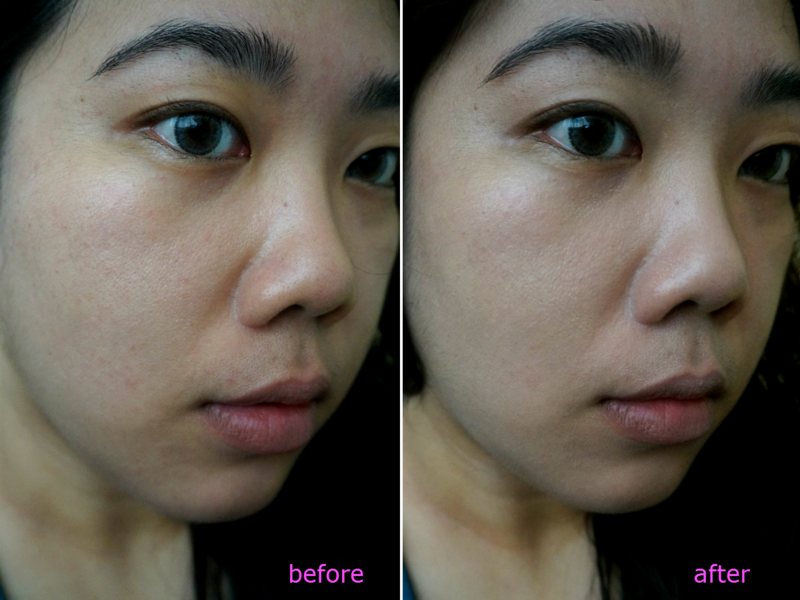 But the pros ends in pictures - because in real life, your pores and lines are emphasized and made obvious. It came on streaky with a heavy feel that can mean that the product is just sitting on top of your skin. I have cheaper BB creams that do a better job of covering up than this! Wear time was average, with up to 4 hours until you either have to touch up or blot some shine and oil. The finish is matte (on photographs at least) but I noticed fine shimmers when it's hit by light. It was not obvious when I first applied but it's definitely there. 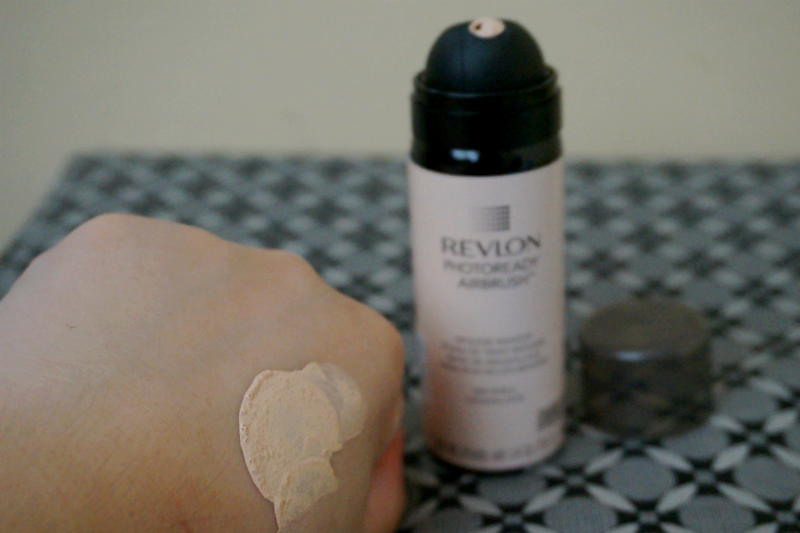 Revlon PhotoReady Airbrush Mousse Makeup in Shell (02) on my NC 25 skin. Only good for photographs. 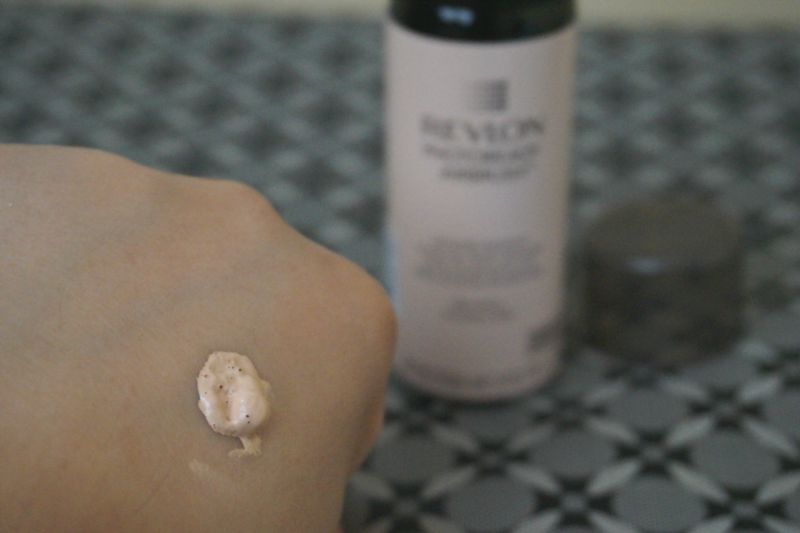 Overall: Revlon PhotoReady Airbrush Mousse Makeup in Shell (020) is a mediocre product that you would either love or hate. Coverage is light to medium so people with problem skin and want a concealing foundation should probably avoid this. 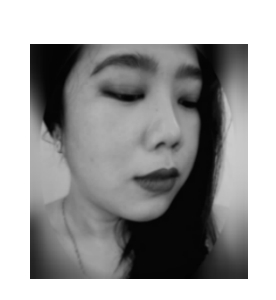 The (somewhat) matte finish is supposedly suitable for those who have oily-combination skin but those shimmers will not be oil- and sun-friendly. I might occasionally use this or mix it with my other foundations, but this is not a MUST BUY product for me. There are definitely cheaper, more effective products than this.